I feel like I've strayed a little off the farm lately, by consuming a great share of French, Austrian, and Eastern European wines, so to celebrate 2012, I decided upon an all Virginia New Year's Eve. For whites, you can't go wrong with the Glen Manor Vineyards Sauvignon Blanc and the Paradise Springs Winery Chardonnay. 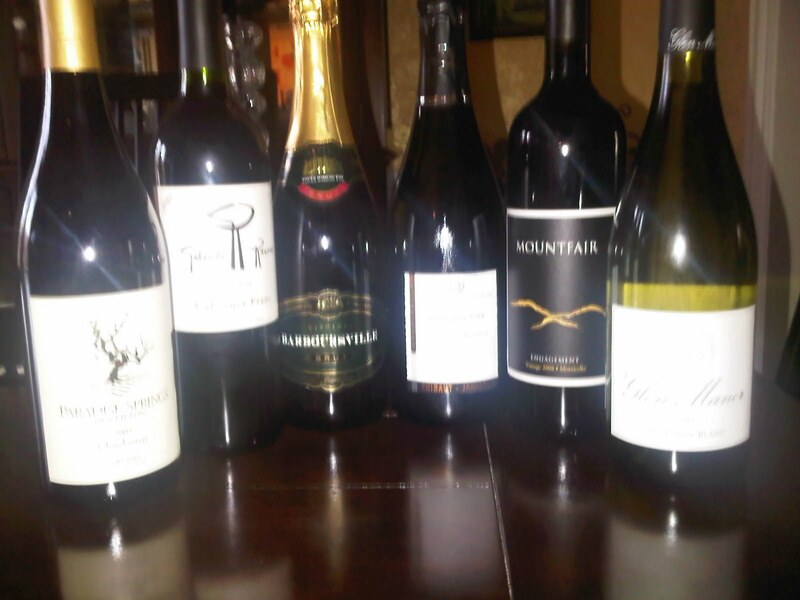 For reds, we are turning to the Mountfair Vineyards Engagement and the Gabriele Rausse Winery Cabernet Franc. And for the sparkling, the Barboursville Vineyards Brut and the Thibaut-Janisson Winery Millesime 2008 Blanc de Blancs Cuvee D'Etat. 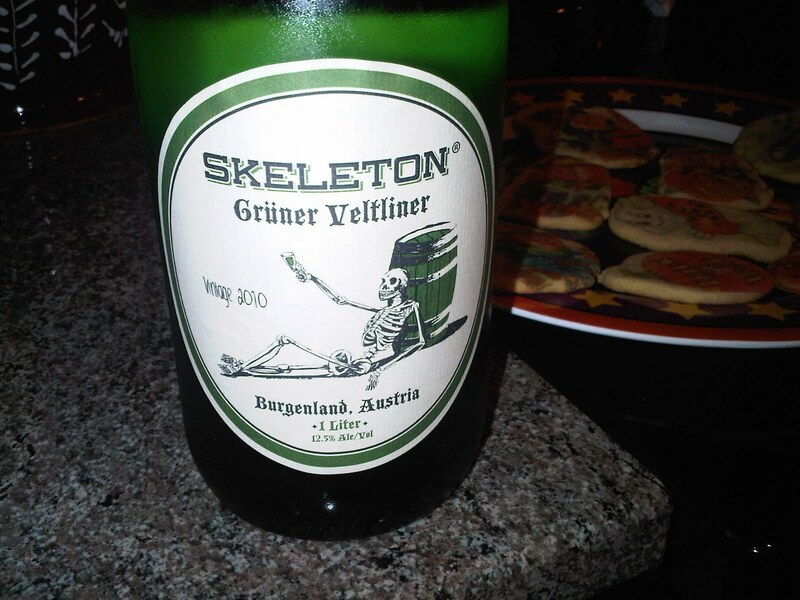 Thanks to Vienna Vintner for providing this gem. 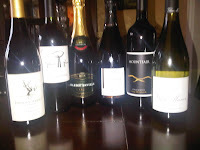 So as we close out 2011 and enter 2012, we look forward to a new year of DrinkingLocalWine.com. Have a safe, healthy, and happy New Year. Bordeaux's Finest Sparkler - Jaillance Cremant de Bordeaux "Cuvee de l'Abbaye"
This week's topic on #winechat was Champagne and unfortunately I was delinquent in purchasing a bottle. Fortunately I did have a sparkling wine available, and one from Bordeaux at that: the Cremant de Bordeaux "Cuvee de l'Abbaye". I never anticipated this region as a source of sparkling wine, but the wine cooperative Jaillance has impressed this family. Not only is the wine affordable ($18.99), made from two uncommon sparkling grapes (70% Semillon, 30% Cabernet Franc), but it completely fits our tastes in a sparkling wine. It's dry, yet fruity - mostly strawberry, with a slight creamy finish. Beautiful. Don't trust us? Well, all Jaillance wines are designated Protected Designation of Origin (PDO) and Appellation d’Origine Protégée (AOP) - so they have the French stamp of approval. 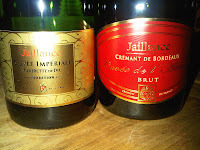 After finishing the "Cuvee de l'Abbaye", we moved on to the Jaillance Clairette de Die Cuvee Imperiale. This wine is produced in Northern Rhone, specifically, in the Drôme Valley, Clairette de Die "appellation d’origine" (AOC). These wines must consist of 75% muscat and the remainder Clairette, then fermented using the "ancestral dioise process". This process was first utilized over 2,000 by the Gallic tribe, Voconces, who left jars of the wine in rivers over the winter and then recovered them in the spring. Today the grapes are cold fermented using modern equipment that more or less replicates a freezing river. Before fermentation ceases, the wines are bottled and the wine continues to ferment at a controlled 12 °C until the percent alcohol falls between 7 and 9%. The first impression of the Clairette de Die Cuvee Imperiale is its popping floral aroma - made more intense by the 90% muscat. Because the fermentation process is intended to retain as much grape sugar as possible, this wine is slightly sweet. Not our general sugar preference, but in general we were very pleased with this sparkler. Its light, fresh apricot-peach flavors and the bubbles and low alcohol definitely balance the sugar. Still prefer the brut, but the Clairette de Die Cuvee Imperiale is a pleasant alternative. On Wednesday January 4th at 9:00 PM ET, we will be hosting #winechat, a weekly twitter tasting among a growing community of wine geeks. The topic is very dear to our heart, wines and indigenous grapes from Eastern European. We will start by discussing Hungarian, Slovakia, Croatian, and Slovenian wines, then expand the conversation to wines and grapes from Romania, Bulgaria, Moldova, Serbia, Macedonia, Kosovo, and Bosnia. Remember to use the #winechat hash tag when tweeting. 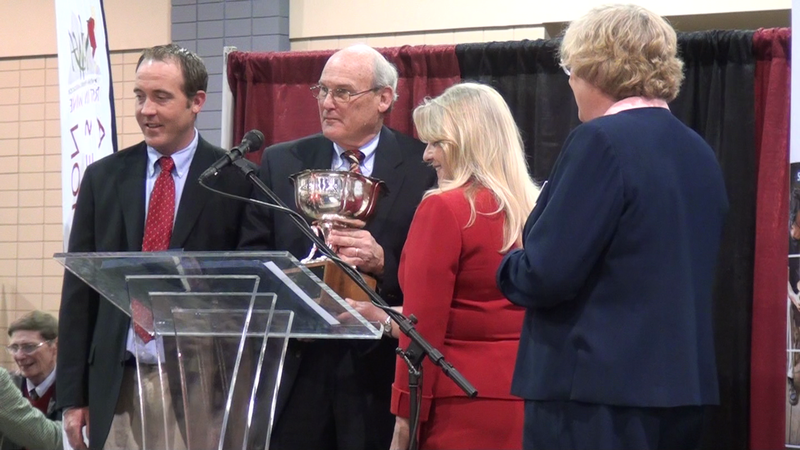 This week Virginia Governor Robert McDonnell announced several changes to the structure of the Virginia Governor's Cup Competition. 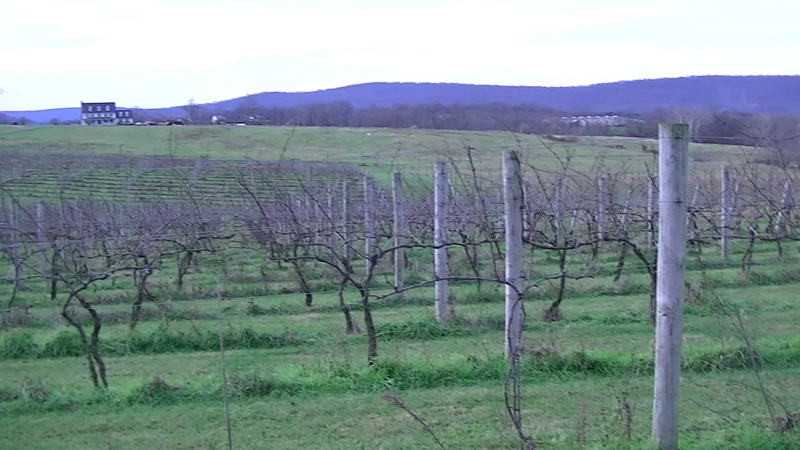 One change is that eligible wines must be certifiably made from 100% Virginia grown grapes. While we applaud the Virginia Wineries Association (VWA), Virginia Vineyard Association (VVA), the Virginia Wine Board (VWB), Governor McDonnell, and Secretary of Agriculture Todd Haymore - doesn't this new regulation simply codify what we, as consumers, most likely already expected? Isn't it obvious that the wine that is judged to be the best in the state, be made from 100% Virginia grapes? What took so long? And shouldn't a wine labeled "Virginia Wine" be made entirely of Virginia grown fruit? Nope. Make sure you read this article by Frank Morgan in Flavor Magazine that explains why this may not be the case. Now that wines entered in the Virginia Governor's Cup will consist of solely Virginia grown fruit, we still may not know from where? Was it from estate fruit? A vineyard in a local American Viticultural Area (AVA)? Somewhere else in the state? Just like the locavour movement, wine consumers should start requesting (or demanding) more information about the source of a wine's grapes - whether from inside or outside the state's borders. And this isn't just a Virginia issue, it should resonate with wine consumers in all states. 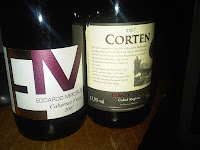 Recently I visited Linganore Winecellars in Mt. Airy, Maryland. While browsing their wine selection, I was reminded of a Maryland Merlot they crafted which won the Maryland Governor's Cup several years a go. 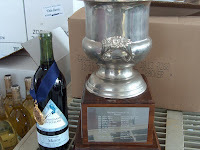 That state's Governor's Cup Competition has always required 100% Maryland grown fruit and this wine was produced from grapes grown in the Maryland Eastern Shore. But the region and vineyard were not publicized? The wine just stated Maryland Merlot. 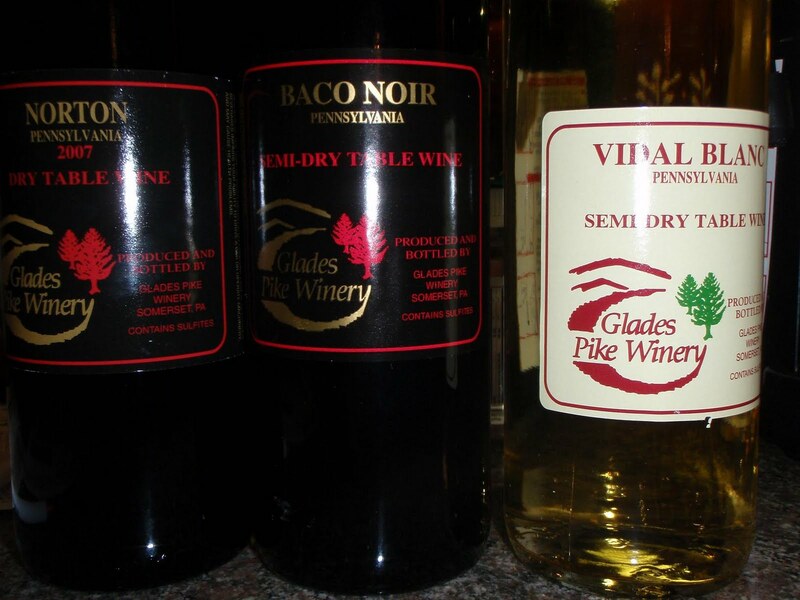 And in a couple weeks, our family will be headed to Seven Springs where we normally visit Glade s Pike Winery, just outside of Somerset Pennsylvania. On the last visit, they were pouring a Norton wine made from grapes sourced from Chrysalis Vineyards in Middleburg Virginia. Knowing that Chrysalis holds the world's largest planting of Norton I surmised this wine's source. But state law allows the winery to print "Pennsylvania" on the label because Middleburg is within a mile radius restriction. Bizarre. Why not publicize the fact that they grapes are sourced from the most trusted grower of Norton. 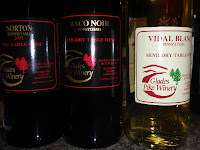 The same holds for eastern wineries that utilize Finger Lakes Reisling or Long Island Merlot or any other grape sourced from a different vineyard. 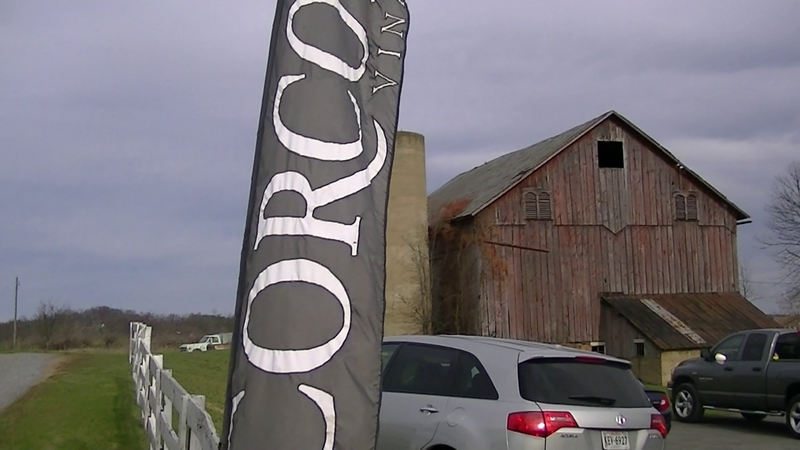 In Loudoun County Virginia, several wineries (such as Tarara Vineyard & Winery and Corcoran Vineyards) are moving in that direction by creating vineyard designate wines where the vineyard is proudly displayed on the label. And what better way to publicize well known independent vineyards such as Benevino and Honah Lee. There's also another solution implemented by Virginia's Potomac Point Winery and Delaplane Cellars. On their tasting sheet, they note the appellation or vineyard which provided the grapes for each wine. And if the grapes were sourced from multiple vineyards, both note all the appellations or vineyards. The same holds for practically every California winery we have visited. What an easy way to educate consumers when the grapes are sourced from outside the estate. I think as eastern wineries start competing with left coast wines, the source of their wine must be fully disclosed. One of the beauties of a bottle of wine - as opposed to beer and spirits - is that the wine, itself, is history. The wine directly reflects the weather that affected a geographic region during a specific period of time. If we don't know the wine's source, this sense of history is lost. 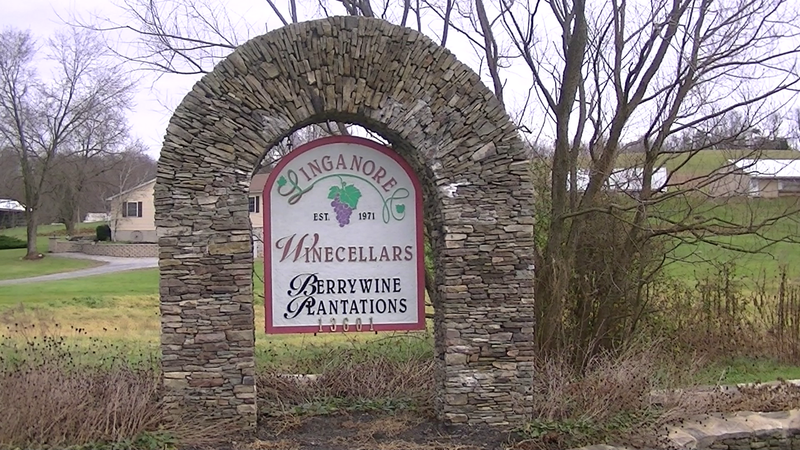 Over the years, Linganore Winecellars has been one of our favorite places to visit. What more would you want - an enjoyable ride in the country, good local wine, and entertaining music? As Maryland largest winery, Linganore also leads in employing sustainable practices such as recycling tar-tare, cardboard, grape pulp - all practices which helped the winery win the Green Business of the year award by the Baltimore Business Journal. They are a shoe-in next year as they are now the owners of a solar panel and two Electric Vehicle charging stations partially funded by a grant from the USDA Rural Energy for American Program (REAP). Furthermore, the winery received a second REAP grant to study the feasibility of using geothermal, wind, and/or solar systems to reduce electric consumption from the public grid. I've read that one of the drawbacks of solar panels is the necessity to clean the pane l which results in tremendous water usage. Not so with these panels from Earth & Air Technologies, LLC. Regular rainfall will remove any dust and the panels attract sunlight even when the sun is obscured by clouds. On this day, the panels were operated on 25% capacity, even though the sun barely revealed itself. And when it did, the SolarTracker101 elevated and rotated the panels to the most optimal position. In this way, the panels are able to harvest the the most optimal of the sunshine and enables a 45 degree tracking capability. Much more efficient than just planting some panels on a roof. Adjacent to the panels s its two Electric Vehicle charging stations, in which a quarter of the cost was supported by the REAP grant. Two of the downfalls of Electric Vehicles are the lack of charging stations and the long time required to recharge. 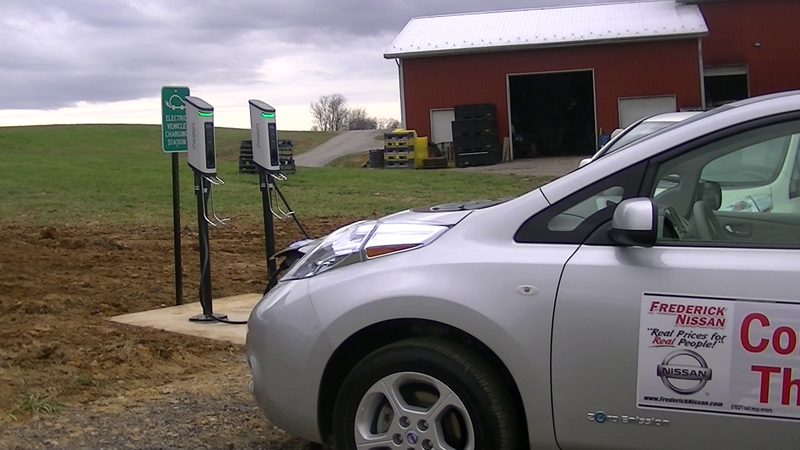 Linganore leveraged this to their benefit by utilizing EVs for winery operations and allowing the public to use their recharge stations free of charge. Not entirely conceivable that drivers will stop into the tasting room to sip or purchase, ya think? The winery has had an interesting 2011, having survived a tornado and tremendous rai n. We hope this ribbon cutting ceremony initiates sunny conditions ahead. 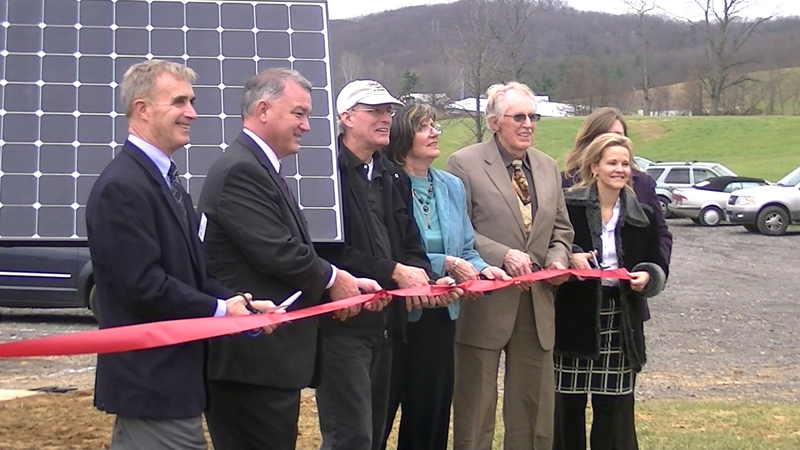 Paraphrasing Congressman Roscoe Bartlett "I don't like seeing tax dollars going to Washington, but when they do, it's worthwhile to see them return to rural Maryland for a worthwhile energy project". We agree completely. 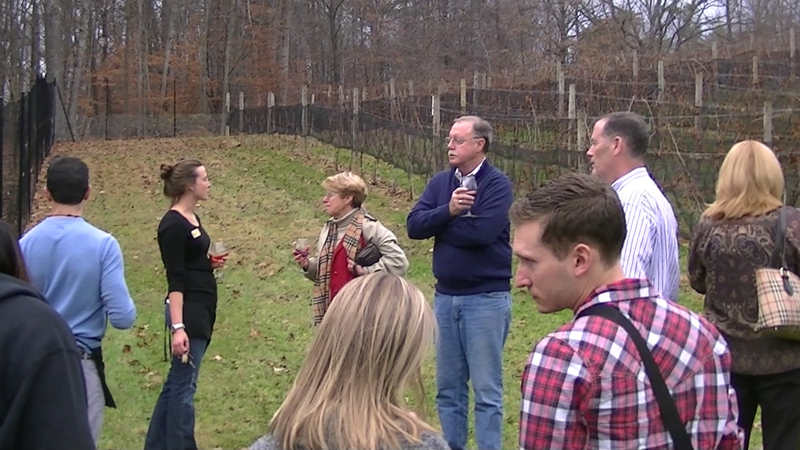 Watch the video below to hear Anthnony Aellen, Linganore's proprietor, discuss the winery and their environmental practices. Cheers. Check out MyJoogTV's latest episode which features Finger Lakes Wine Country musicians, Donna the Buffalo, paired with Cirrus Vodka - a potato vodka distilled in Richmond Virginia. This week I seem to have had my fill of Sierra Nevada beers, first at a Steal the Pint Night at Fireworks, Arlington; and then at home comparing two special brews: Celebration Ale and Ovila Dubbel. 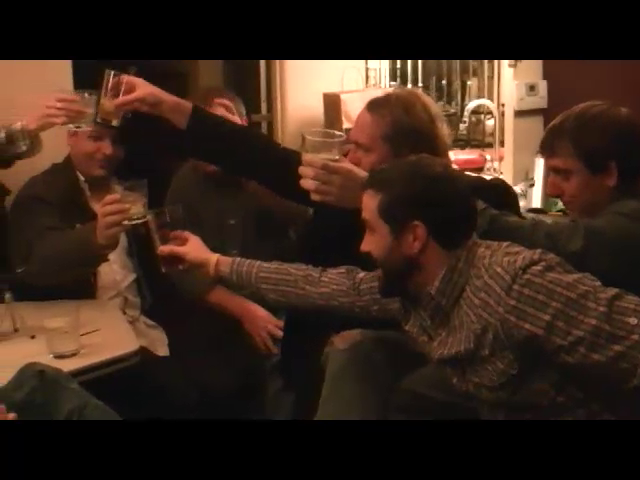 The goal at Fireworks was to sample the Raiders Of The Lost Hops, brewed during Beer Camp #58. The beer is an Imperial Red Ale - although that style isn't officially recognized - which is basically a maltier version of an American IPA. This beer was brewed using 100% estate Chinook hops (harvested at the brewery's hop farm) and I like the use single hop varieties as with the use of Simcoe. This beer is quite balanced - not overly hoppy. Too bad it won't last long. My second beer was the seasonal Celebration Ale. 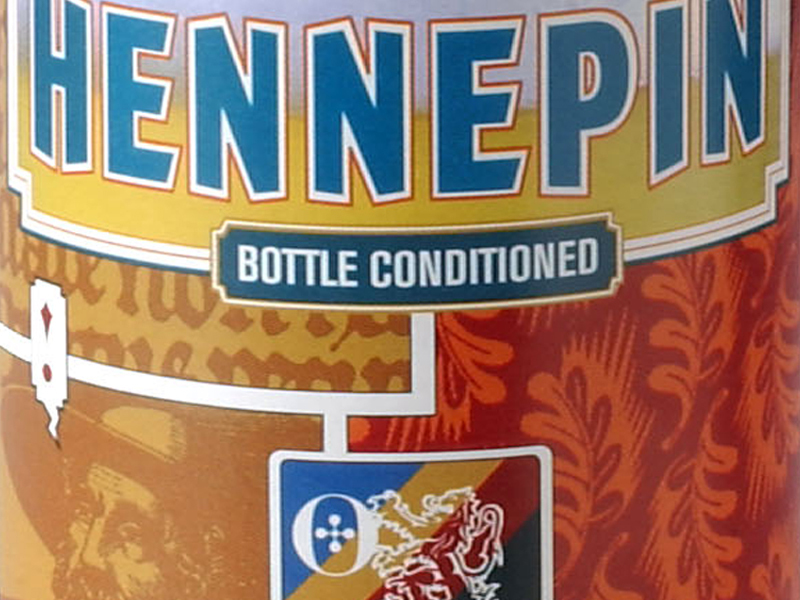 The beer utilizes Cascade & Centennial hops in for both f inishing and dry hopping. The result is as expected - strong aromas and strong tail. 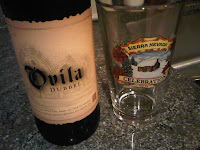 I had another Celebration a couple days later which led me to bring some home to pair with a bottle of Oliva Duppel. 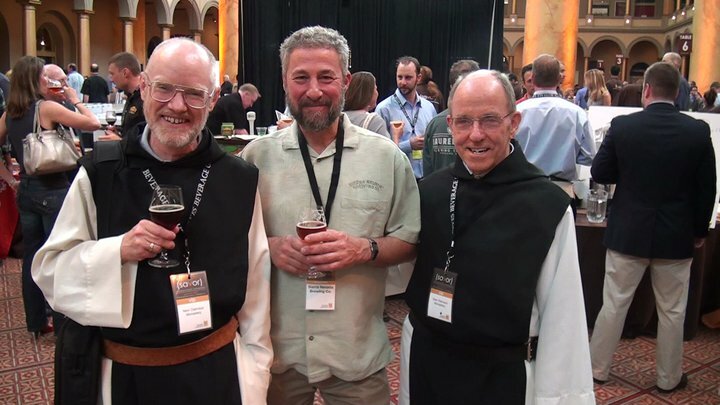 The Oliva series is a collaboration between Sierra Nevada and the Monks at the Abbey of New Clairvaux, Vina CA. The Dubbel is a copper colored sweet ale with plenty of raisin and caramelized sugar. The problem, after consuming a hoppier Celebration, the Dubbel was too sweet, with no feeling of balance. The remedy - a home blend of 75%\25% Oliva and Celebration - just enough hops to counteract the sugar - but not enough to overwhelm the raisin and other spices. 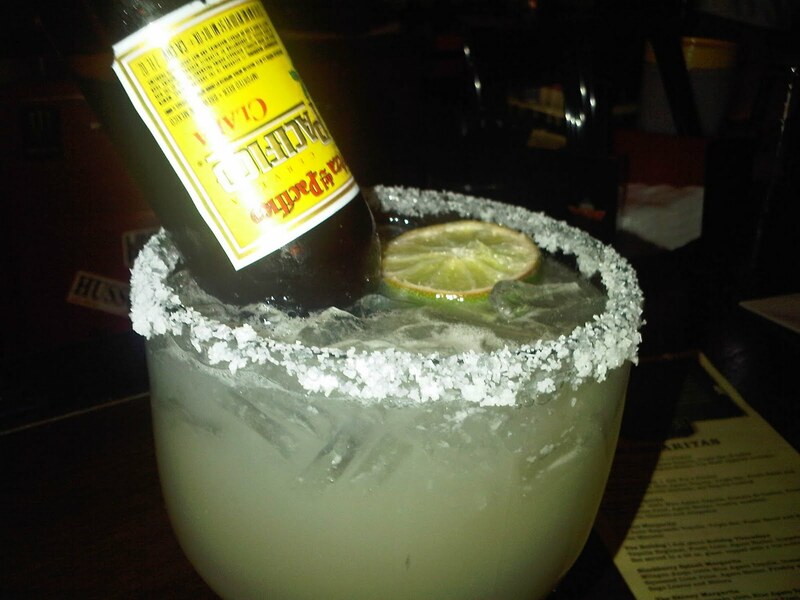 Sometimes, you have to drink outside the box. I have many beer loving friends whose wives and girlfriends love wine but can never drag them out to visit wine country. 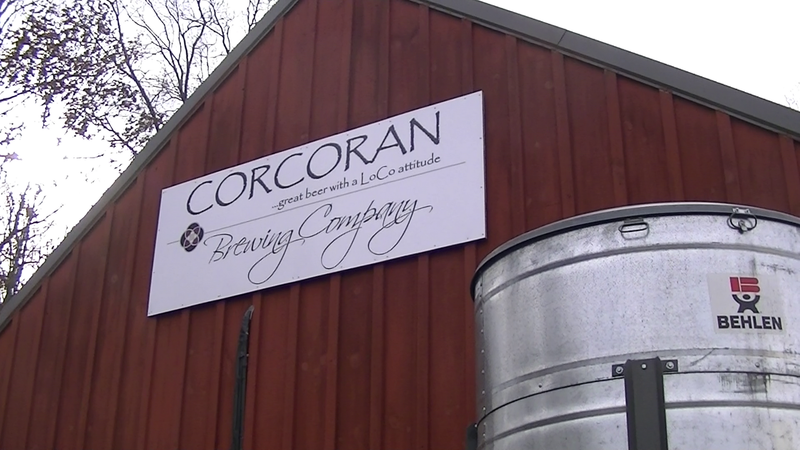 Now, there's finally a place that will attract both - Corcoran Brewing and Corcoran Vineyards. The latter has been open for almost a decade now, producing some of our favorite Virginia wines - particularly Viognier and Malbec. But the former is a new establishment, having opened late spring 2011, and producing several beer styles available in growlers. 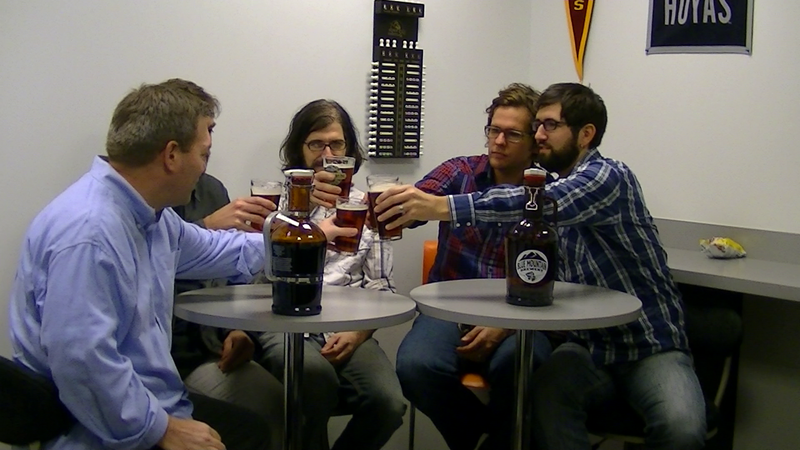 We returned last weekend after visiting the brewery right before its grand opening. 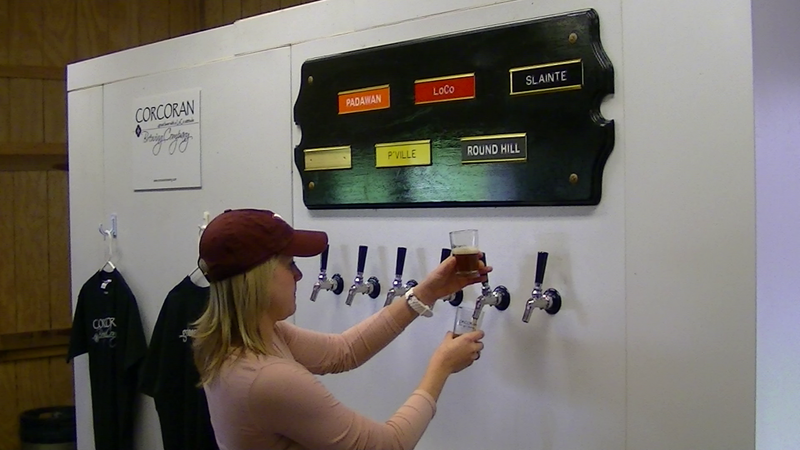 Upon reaching the Corcoran grounds (Waterford VA - Loudoun County), the brewery sits on a small plot adjacent to the winery and hop farm. Head straight ahead to the red barn to sample the beer or continue to the historic tasting room further down the road on the right. The brewery was our first stop - particularly with a few seasonals "still available" on tap. "Still available" is always a relative term when referring to this nano brewery. Their production is so limited (brewer Kevin Bills brews primarily only on Saturday), they regularly run out of their everyday beers - the P'ville Pale, Catoctin Ale, LoCo IPA. It seems this shortage will soon be alleviated as larger fermenting tanks were resting in the tasting area - ready to install. On this Saturday afternoon, many of the brews had run their course from an early rush before the Hokie game. I was able to taste the P'ville Pale and LoCo IPA; preferring the lower IBU of the pale ale as opposed to the hoppier IPA. On this day, the brewery had three seasonals available: the Padawan Pumpkin, Emmanubräu Ale, and Round Hill Root Ale. The latter two are interesting versions of winter ales (i.e. spicy flavors) - but the Pumpkin was easily my favorite. The beer is brewed u sing pumpkins from local farms (Wegemeyer and Great Country Farms), local honey, and pumpkin pie spices. 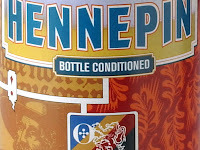 The latter spices are very subtle - the pumpkin and honey are more prolific - and this is one easy drinking beer. Perhaps my favorite pumpkin ale tasted this season. They may have some left over the next couple weeks - but hurry. 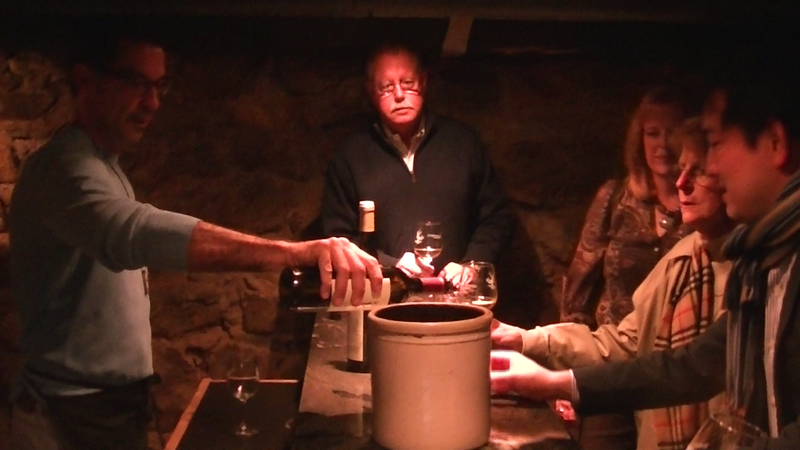 Afterwards, I was also able to spend a little time in the winery with Jim Corc oran discussing the 2010 vintage. The best news - Viognier is back. The 2009 crop from their estate was lost to a late spring frost; but the 2010 juice is promising, particularly since it was harvested before the early fall rain deluge. This wine has always been one of our favorite Viogniers - so we are looking forward to the wine maturing for an early 2012 (?) release. They are also fermenting Riesling - and its always nice to see this variety , particularly when the fruit comes from Benevino Vineyards. Eventua lly this wine will be off-dry - but the early juice has that savory Riesling aroma and flavor. Nice. Beside the Chambourcin aging in Bowman Bourbon barrels, we tasted a few fermenting reds - the Cabernet Franc, Petit Verdot, and Tannat. The CF is light and fruit forward - winemaker Lori Corcoran's preference - whereas the PV and Tannat are stronger with more acidity. The latter two will be balanced by adding a small qualities of other varietals - most likely Merlot. It looks like 2012 will be a tremendous year for both Corcoran establishments. I think its time to talk the little boy into another birthday party at Corcoran. With beer now onsite, we will have to expect more positive RSVPs. Cheers. 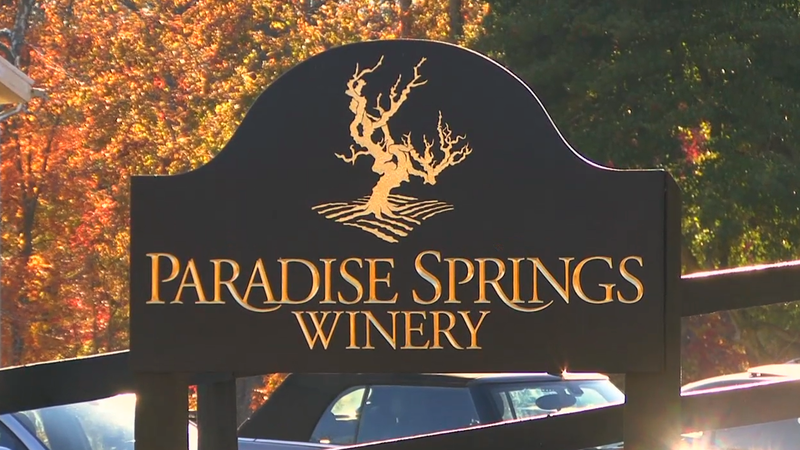 This Sunday I found myself very close to Clifton Virginia and free of afternoon chores and took the opportunity to check out the new goods at Paradise Springs Winery. I had heard that the winery had released a Petit Verdot, Petit Mensing, and a sparkling Viognier which I hadn't sampled before, but the best surprise was discovering their weekend Harvest Tours. The tour costs $15 and are available twice on Saturday and once on Sunday. While sampling practically their entire portfolio, participants explore the historical log cabin, esta te vineyard, crush pad, and barrel room. We started on the front porch of the tasting room with a glass of Sparkling Viognier. Considering this sparkler isn't available for tasting - tasting it was well worth the price of admission. Paradise Springs and Horton Vineyards have started a trend by fermenting Viognier via "Méthode Champenoise". The tour then moved to the former tasting room located in the historic log cabin. Wh ile sampling the 2010 Chardonnay and Viognier, we learned how the cabin was renovated by Howard Richter, a protégé of the great Frank Lloyd Wright. Both wines seemed "oakier" than the 2009 versions - but were well received. In the basement tasting bar our host Richard poured the 2010 Petit Manseng, which was the driest of this varietal I have tasted in a while. Nice citrus aromas and flavors - this is a wine well worth trying. The tasting continued with a vertical of Sommet Blanc. The 2009 was produced from five grape varieties whereas the 2010 from three. As a consensus, we preferred the 2010 because it had a more floral aroma with less sugar. Eventually we ventured out of the cabin into the estate to view the dormant gr apes and start with the reds - the 2010 Petit Verdot and 2009 Reserve Cabernet Sauvignon. I definitely preferred the Reserve CS, the wine had flavor, structure, and a finish; whereas the PV seemed a little one dimensional. Onto the crush pad - we sampled their super red - the 2009 Meritage composed of the five Bordeaux grape varieties: Cabernet Franc, Merlot, Cabernet Sauvignon, Petit Verdot, and Malbec. Like the Reserve CS, this wine had a balanced profile from head to tail. We finished the tour in the barrel room - adjacent to the main tasting area. 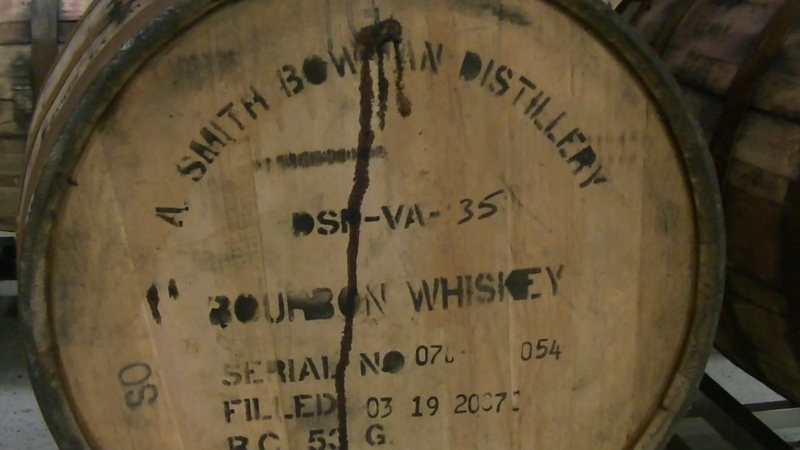 Over a glass of light Norton, we explored the barrels to identify the aging Chambourcin Port (in used Bowman whiskey barrels), Tannat, Cabernet Franc, and various other wines. Needless to say, the Harvest Tour was a lot of fun. We look forward to returning on a Friday night to sample more wine and listen to some live music. Cheers. We had the fortune to visit Las Vegas for my parents 50th wedding anniversary last weekend and discovered that spirits are alive in Vegas. We are talking distilled spirits - not anything associated with our friendly MyJoog Kokopelli. We first stumbled upon Freakin' Frog when looking for some live music. Located near the university, the bar attracted us by their 1,000 beer cooler and 600 whiskey collection. 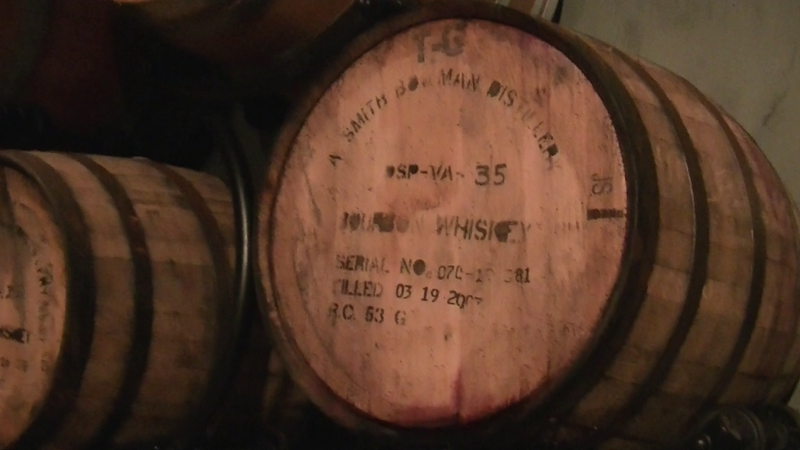 We are talking Scotch, Irish Whisky, Bourbon, and Canadian Whiskey. Unbelievable. Black Maple Hill, Prichards' Distillery, Tuthilltown Spirits, and other small batch corn whiskeys unavailable in our market - right their in front of us. Didn't see Catoctin Creek Distilling, but we suggested this local rye. Good thing, taxis are the primary mode of transportation. 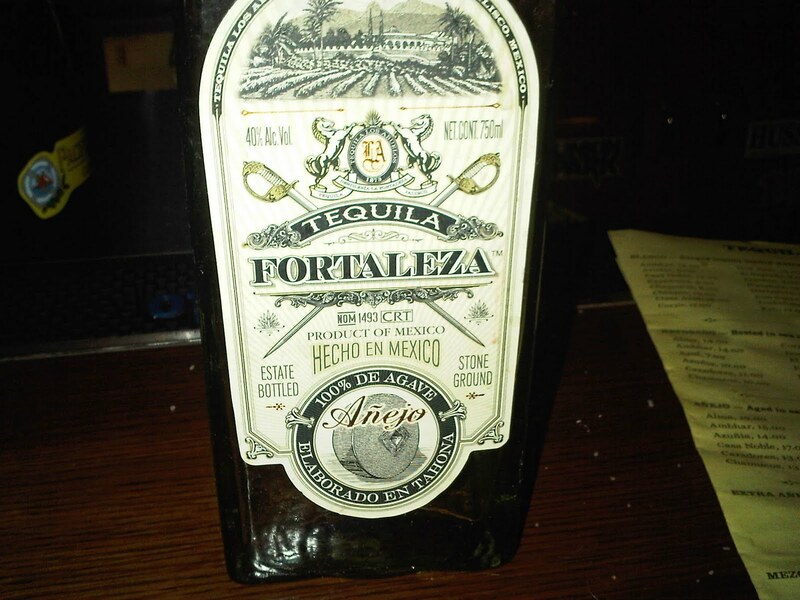 This is a beautiful artisan hand-crafted, stone milled tequila. Tequila Fortaleza is produced entirely within the walls of our estate, using centuries old traditional methods which although are very labor intensive, create a tequila which is unequaled in taste and smoothness. Using our old oven with its meter thick brick walls, we cook our agave for thirty-six hours. Then we crush or mill the agave as my Tatarabuelo did over 135 years ago in our stone mill called the Tahona. The crushed agave is then washed with the pure mountain water from the Volcán de Tequila to separate the pulp from the woody fibers to create an agave juice called mosto. The woody fibers of the agave, called bagazo, are removed at this time and taken to the fields to use as compost. The agave mosto is then fermented naturally for five days in small wood vats, and then double distilled using small, labor-intensive copper pot stills. Our glass bottle is hand-blown in Tonala, Jalisco by artisan glassmakers, and our bottle tops, designed by an artisan to represent the harvested agave, or Piña, and are hand-made by our workers. Finally, while searching for presents we discovered Nevada Vodka crafted by the newly opened Las Vegas Distillery. Located in nearby Henderson, the distillery produces vodka, gin, and whiskey from two pot stills christened Swan and Rose - the Las Vegas Copper Angels. The Rácz family has distilling in their blood from their Transylvania heritage and palinka - homemade plum brandy. 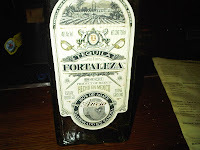 This brandy lead to the recommendation to be weary of liquids served from vessels that do not contain the original substance - usually liter water bottles. If their vodka resembles any of the home made palinka we've tasted over the years - we will be back to Vegas to tour the operation. While visiting Budapest & Vienna, we happened to stumble upon several wine bars in each country where they served young, ready to drink white wines. We made it a ritual to start our day at these wine bars having a glass of dry Furmint in Hungary and some type of white grape in Austria. 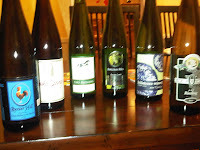 These wines had low alcohol levels, so we indulged a few times during the day and were refreshingly acidic in the summer heat. It wasn't until years later, when my wine knowledge expanded, that I realized that the unknown Austrian grape was most likely Grüner Veltliner - the most popular white wine variety in that country. The grape has an interesting heritage, deriving from a natural cross between the mother Traminer and an unknown father. Unknown, at least, until a few years ago. Apparently in a small hillside in St Georgen (Burgenland) there was a vine known to the village elders that bore no fruit. Local historian, Michael Leberl, was able to locate the vine and have it genetically tested. The surprise result was that it was the predominate parent of Grüner Veltliner and subsequently named St. Georgen-Rebe. Despite surviving phylloxera, war, and cattle; this vine has a precarious future - so please read the story here. The Weinviertel region, just northeast of Vienna is the oldest agricultural region in central Europe as archaeologists have unearthed artifacts nearly 7,000 years old. Today, vineyards stretch from the Danube and Vienna to the Czech republic to the north and Slovakia to the east. And each sub-region provides distinct wine styles. The northeastern section produces sparkling wine from Grüner Veltliner and Welschriesling; the western, dry reds along side Grüner Veltliner and Riesling. Closer to the Danube and Vienna, Grüner Veltliner dominates. Many of these vines supply the Heurige Inns that we frequented, but lately are being used to make age worthy wines. In early 2003, Austria implemented a DAC standard - which translates to "controlled designation of Austrian origin". The Weinviertel DAC was introduced as Austria´s first DAC Wine, with the quality regulated by “Qualitätswein” (quality wine) definitions; blind tasting; at least 12% alcohol; lean, crisp, peppery-spice character; and no discernible oak characters. And in 2009, Austria introduced the Weinviertel dac Reserve in order to promote fuller wines. These wines share the same characteristics as the dac but can contain subtle traces of Botrytis or oak. Furthermore the minimum alcohol content was increased to 13% and the blind tasters expect a denser structure with a longer finish. The dac system has proven quite beneficial for both producers and consumers. In the past, small family wineries had trouble marketing their wines to wholesalers or exporters. But with a dac label, these wholesalers and exporters assume less risk in marketing the wines. The same holds for consumers. When searching for a Grüner Veltliner, look for the dac label. You should be assured of a certain level of quality. Now, here in the United States, the acreage planted for Grüner Veltliner is climbing. In Maryland, Black Ankle Vineyards produces an excellent wine and the grape is becoming more popular in the Finger Lakes where Riesling is normally supreme. (See Dr. Konstantin Frank's Vinifera Wine Cellars and Zugibe Vineyards.). And on the left coast, the grape is finding a home in many wine regions - Chien Wines, Darcie Kent Vineyards, Von Strasser Winery, & Niven Family Wines. We still have plenty to learn about this grape. So join us as our education continues this Wednesday during #winechat where Austria Wine will be discussing Grüner Veltliner from Lower Austria during the Twitter tasting. Today's broadcast starts at 9:00 AM PT and features William Hill Estate Winery with Raif Holdenried, winemaker. Today's broadcast starts at 9:00 AM PT and features Robert Mondavi Winery with Keith Horn, director of vineyards and Genevieve Janssens, director of winemaking. St Helena, CA--The Napa Valley Vintners (NVV) non-profit trade association is excited to bring "Harvest Live 2011," the Napa Valley's first week-long, live harvest webcast that will allow viewers to interact in real time with winemakers, vineyard managers and special wine industry co-hosts to hear and see all that's news with this year's crush in America’s premier wine region. "These innovative, interactive webcast will be breaking new ground in social media wine education," said Linda Reiff, NVV executive director. "It will be a terrific opportunity to have a conversation with these renowned vintners in real time, all week long." "Harvest Live provides an opportunity for anyone, anywhere, to experience a Napa Valley harvest--even on their phone via the Ustream mobile application," explained Christophe Smith of Titus Vineyards. "This is a chance for wine lovers to connect with the Napa Valley beyond what they have tasted in the bottle and have a behind the scenes look into the 2011 vintage. We look forward to a great exchange between wine enthusiasts and those of us in the winemaking business during this most exciting and important time of year." Produced by Christophe Smith along with David Gowdy of Dirt on the Vine, Randy Hall of VOM Productions and the NVV, Harvest Live offers participants a behind the scenes view into the Napa Valley harvest that even many locals don't get a chance to see. During the morning broadcasts viewers will be taken outside into the vineyard to learn about picking decisions and what's current in the field, then during the afternoon journey into the cellars to follow those grapes through the winemaking process. Capitalizing on the real-time webcast, viewers will have the ability to ask questions of winemakers and hosts via the Ustream webcast and receive answers instantly. For Twitter and Facebook users, questions will be monitored and answered via the #HL11 hashtag. The interactive, one-hour webcasts will occur daily October 17th through 22nd at 9am PDT and 2:30pm PDT, and will be hosted at a different winery each day, showcasing varied winemaking techniques as well as multiple American Viticultural Areas (AVAs) throughout the Napa Valley AVA. To access the interactive webcast, visit the NVV's Harvest 2011 website atwww.napavintners.com/harvest . A detailed schedule including on-camera talent and topics can be viewed online in advance of broadcast, and sessions will be archived here as well so viewers can watch and hear all the sessions. Regional Wine Week: How many of the 47 have you visited? While smack in the middle of Regional Wine Week I decided to see how many of the 47 states we have visited wineries. And the answer was rather disappointing - I really thought we had visited wineries in more states - but the sum was only 17. That's poor. DrinkLocalWine.com and WineCompass stress the availability of wines from all states and I personally believe the best method to enjoy these wines is to visit the winery. Why? Usually, you get to meet the winemakers, discover new grape varieties, enjoy local terrain, and learn some regional history. We need to get out on the road more often. How about you? I'm sure there are many who have visited wineries in more states than us. Let us know. Here is the list of wineries we have visited, excluding the 100 or so from Virginia - home field advantage on that one. We posted earlier about DrinkLocalWine.com's 4th annual Regional Wine Week which started Sunday and continues through October 15th. One of the highlights of the week is the 47 word essay describing the hidden gems among the other 47 wine producing states (California, Washington and Oregon excluded). Here is our entry, which is loosely based on our visit to Hiddencroft Vineyard described in this link. But then, the little boy made a big mess; that Mr. Clyde cleaned, God bless. Way back when, in July, we sampled two different New Zealand Sauvignon Blancs. The first was a sample sent to us, the Nine Walks Sauvignon Blanc ($10.99); the second was the Decibel 2009 Single Vineyard Sauvignon Blanc ($16), poured at the 2011 Wine Bloggers Conference. Each have unique names, the first named for the "9 Great Walks of New Zealand"; the second inspired by owner Daniel Brennan’s prior work with musical artists. That’s where the similarities end. The Nine Walks was made from grapes sourced from Marlborough: the Wairau Valley and Awatere Valley sub-regions to be precise. Malborough, located on the northeastern corner of New Zealand's South Island, is the region that put New Zealand wines in consumer’s vocabulary. It produces about 60% of that country's SB and for some, this region produces the world’s best Sauvignon Blanc. On the other hand, the Decibel was made from grapes sourced from the Mai Mai Creek vineyards in the Brookfields region of Hawkes Bay. Hawkes Bay, located on the North Island, is no slouch itself, being New Zealands second largest wine region and the oldest grape growing area in the country..
Now Sauvignon Blanc often buds late but ripens early, which means the grape thrives in cooler climates with plenty of sunshine. So which region is preferable? In Malborough, “the long narrow geography of the South Island ensures that no vineyard is more than 80 miles (130 km) from the coast. The cool, maritime climate of the area allows for a long and steady growing season in which the grapes can ripen and develop a natural balance of acids and sugars. - wiki” Perfect. Hawkes Bay has some of New Zealands's highest sunshine hours, with long, hot summers and cool winters The warmer maritime climate in Hawke’s Bay allows for a more supple, fruit driven Sauvignon Blanc. The results? We were very impressed with the Decibel Sauvignon Blanc. It possessed more of a new World character than the Nine Walks – more fruit forward – and finished with a louder bang – in terms of acidity. As I recall, the wine exhibited a creamy texture in the mouthfeel – very different from most New Zealand Sauvignon Blancs we’ve tasted. The Nine Walks had a smaller flavor profile, a little grassy and citrus. Both are excellent values and when Decibel becomes available in DC, we will scoop it up. Even with summer over, clean Sauvignon Blancs are still appreciated. Another year, another missed opportunity to attend the greatest beer fetival on the planet: the Great American Beer Festival. Held each year in Denver, the festival sports continuous beer sampling as well as the GABF competition. The winners are listed in this pdf; but here are some of the highlights and results for the #dcbrew. Congrats to PBR - and to the several MyJoogTV participants that are bringing home medals: Mad Fox Brewing Company, Flying Dog Brewery, and Devils Backbone Brewing Company.